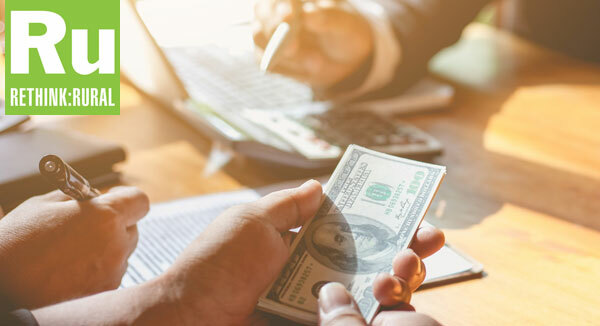 Choices, choices: Three experts weigh the pros and cons of buying land with cash, owner financing, loans through banks and credit institutions, and more. Click here to read 8 Ways to Finance a Land Purchase. How to Pick Your Land -- And Your Price! Rethink:Rural spends a lot of time teaching readers what to do once you own rural land, but what about the buying process itself? This month, we're sharing the experts' advice on how to find "the one," finance your purchase and do your due diligence to make it yours! 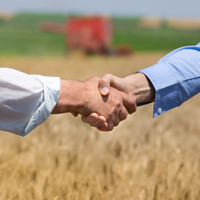 What do you want to know about buying and owning rural land? Reply to this email and ask us! Need help understanding the process of buying land? We asked expert land broker Lem Lewis to walk us through what happens between finding your land and closing on your new property. Read More. How Far from Civilization Should You Buy Land? When buying land, how close do you need to be to civilization to ensure distance isn't a problem? 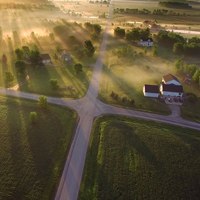 A land broker offers advice to help you choose what distance you want between your property and the nearest town. Read More. Figuring out what to offer for property is perhaps the most crucial decision for potential buyers and sellers. How do you set the right price for buying or selling land? Get advice for finding the right amount to offer on property. Read More. 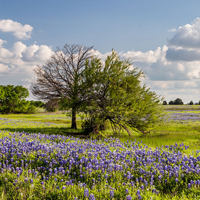 An experienced land appraiser explains how he investigates a property an explains the factors he uses to show not only what makes land more valuable, but also what detracts from its value. Read More. 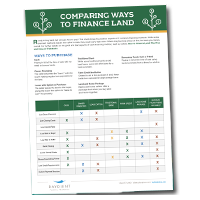 There are so many ways to finance a land purchase, but how do you know which is best for you? This handy one-page chart compares the benefits and risks of 8 finance methods side-by-side. Perfect for the Country Pioneer! Each Iron Star property has its own driveway, front gate, entry fence and the frontage cleaned up so you can envision where you homesite will be. Existing trails and roads have been cleared so you can come and explore what the land has to offer. Your dream of secluded creek frontage is here! Nestled in the piney woods of rural Polk County, Hidden Hilltop is the perfect escape from the rush of everyday life. 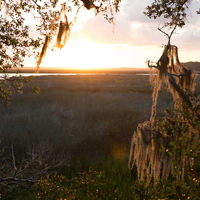 Imagine you or your family using this spot for your cabin or homesite, a weekend getaway or your very own hunting camp. A place for you and your family! Hampton Mills includes three 15 to 16 acre lots. With this amount of land, you have an ample amount of space to build your home, create your recreational retreat, and still be able to keep a portion of the land as your own working forest or animal sanctuary. You received this email because you are subscribed toRaydient Places fromRaydient Places + Properties.